Earlier today, Janet Jackson's new single 'BURNITUP!' 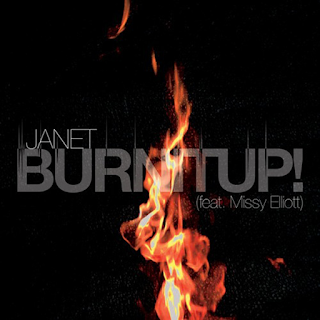 featuring Missy Elliott received its first play during a slot on BBC Radio 1Xtra with MistaJam. The song will serve as the official lead single for the UK market. This is why Brit-producer Naughty Boy was drafted in to create a special re-worked version of the song. The uptempo track sees Janet gracing her feather light vocal over a pulsing beat. The track itself serves as a fiery club banger made to put the party spirit into the iciest of souls. It's really that good and I'm thrilled to see these two reuniting again and doing so with a bang! This one should heat up dance floors everywhere. I mean, Janet certainly brings it to life with heat at her live shows during her current 'Unbreakable' tour. Be sure to look out for her new album 'Unbreakable' when it hits stores on October 2nd via Rhythm Nation/BMG.